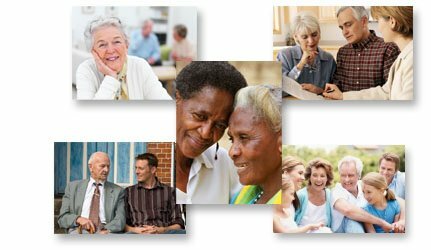 Advance care planning (ACP) is the process of thinking about and communicating with others how you would like decisons to be made for you if you cannot speak for yourself at some time in the future. This may happen if you had a progressive condition like dementia or were too ill to communicate. Undertaking ACP means that if other people have to make decisions for you in the future, then their decisions will better reflect your wishes. It also means that these people can feel more confident in these decisions and not have to "second guess" what you would want to happen. The My Wishes program is hosted by the South Western Sydney Local Health District in collaboration with local General Practitioners, residential aged care providers and members of the general community. The logo for the My Wishes program was developed to reflect that your wishes are a central part of the solution to end-of-life decision-making, even in situations where you can no longer speak for yourself. The information and opinions expressed on this website do not constitute medical or legal advice. While every effort has been made to ensure the accuracy of the content of this site, the authors cannot be held responsible for any omissions or errors. It is important that individuals seek appropriate professional advice that takes into account their own personal circumstances.